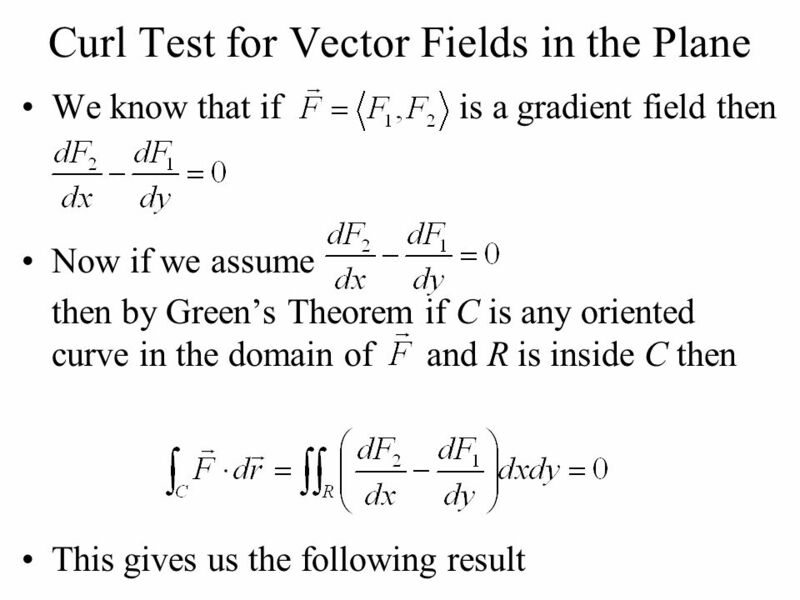 Section 18.4 Path-Dependent Vector Fields and Green’s Theorem. 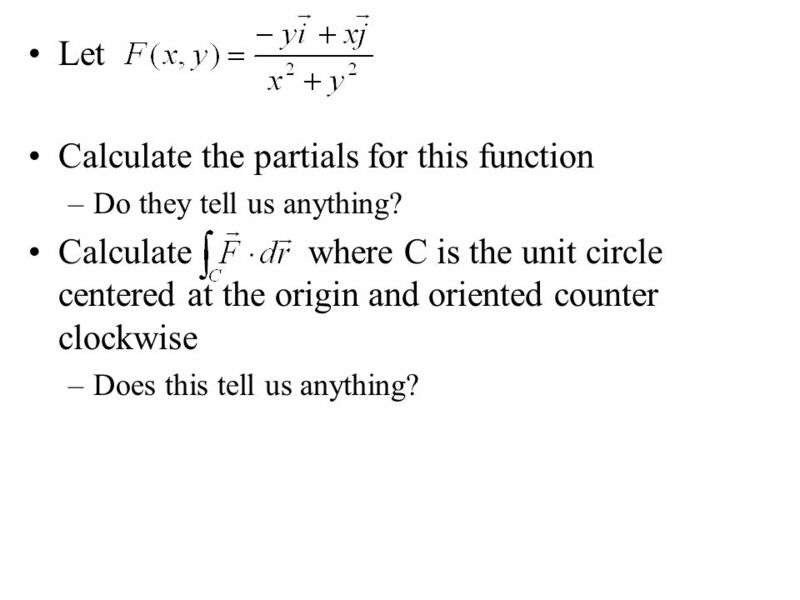 10 Let Calculate the partials for this function –Do they tell us anything? Calculate where C is the unit circle centered at the origin and oriented counter clockwise –Does this tell us anything? 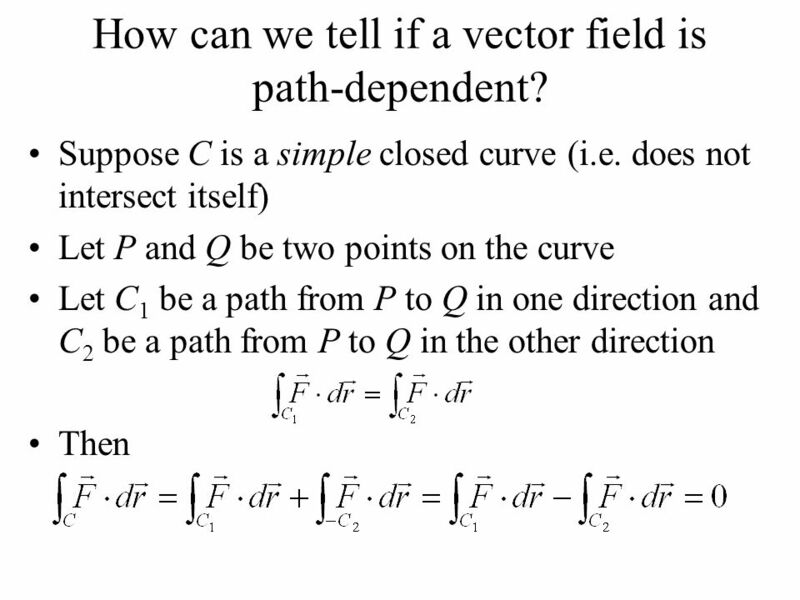 Download ppt "Section 18.4 Path-Dependent Vector Fields and Green’s Theorem." MA Day 67 April 22, 2013 Section 13.7: Stokes’s Theorem Section 13.4: Green’s Theorem. 1 Week 4 Complex numbers: analytic functions 1. Differentiation of complex functions 2. Cauchy’s Integral Theorem. Partial Derivatives Definitions : Function of n Independent Variables: Suppose D is a set of n-tuples of real numbers (x 1, x 2, x 3, …, x n ). A real-valued. 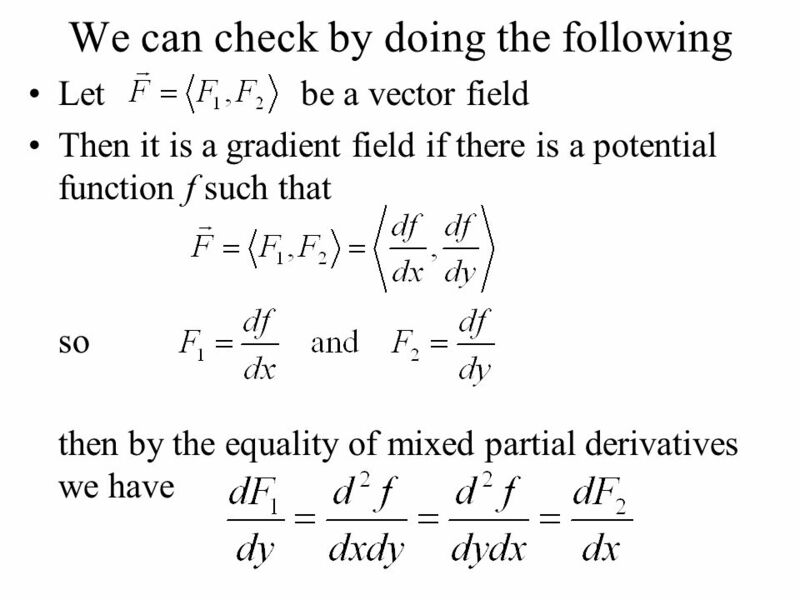 Chapter 9: Vector Differential Calculus Vector Functions of One Variable -- a vector, each component of which is a function of the same variable. MA Day 24- February 8, 2013 Section 11.3: Clairaut’s Theorem Section 11.4: Differentiability of f(x,y,z) Section 11.5: The Chain Rule. 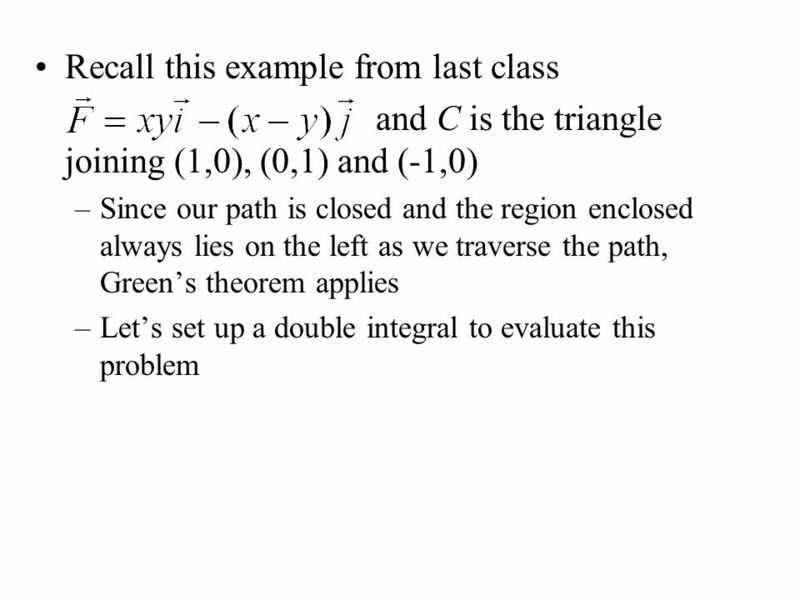 VECTOR CALCULUS Stokes’ Theorem In this section, we will learn about: The Stokes’ Theorem and using it to evaluate integrals. 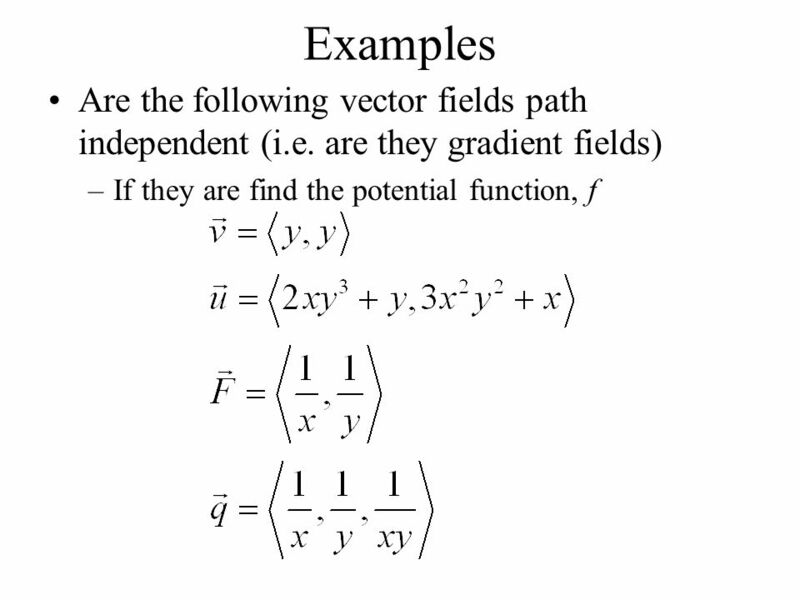 VECTOR CALCULUS. 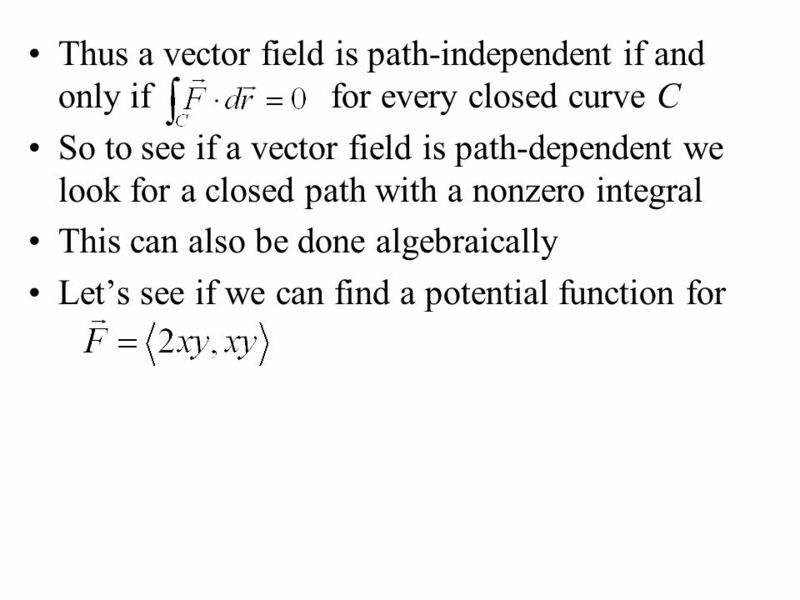 Chapter 13-Vector Calculus Calculus, 2ed, by Blank & Krantz, Copyright 2011 by John Wiley & Sons, Inc, All Rights Reserved. Stokes Theorem. 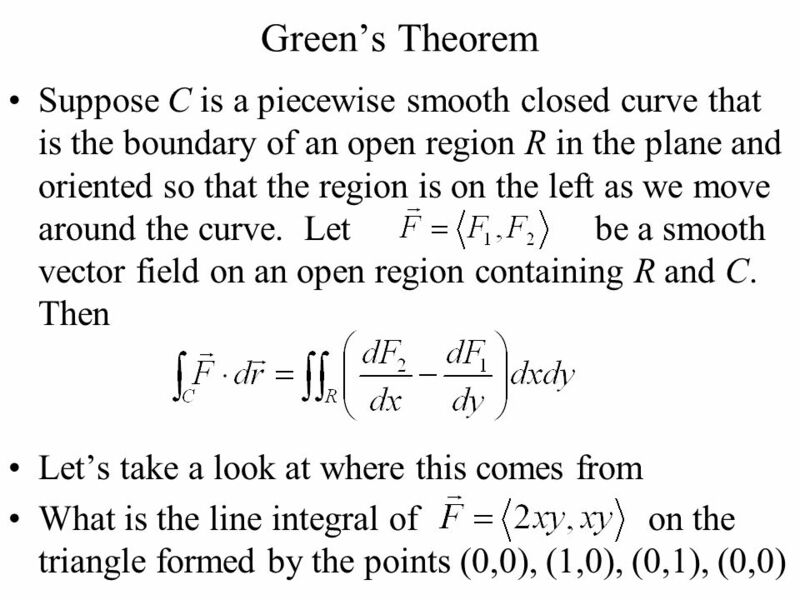 Recall Green’s Theorem for calculating line integrals Suppose C is a piecewise smooth closed curve that is the boundary of an open region. 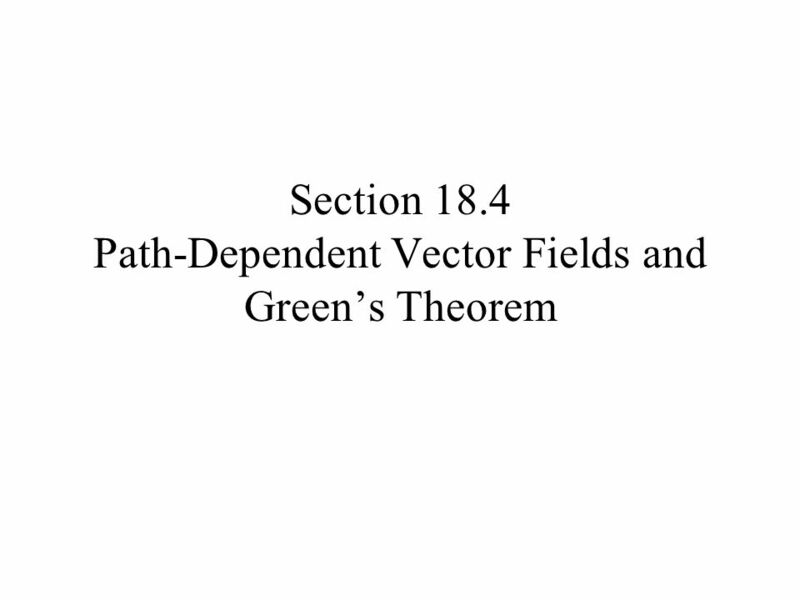 Chapter 18 Section 18.5 Green’s Theorem. Closed Curves and Simple Closed Curves Closed curves are figures that can be drawn so that you begin and end. Integration in the Complex Plane CHAPTER 18. Ch18_2 Contents  18.1 Contour Integrals 18.1 Contour Integrals  18.2 Cauchy-Goursat Theorem 18.2 Cauchy-Goursat. Tch-prob1 Chapter 4 Integrals Complex integral is extremely important, mathematically elegant. 30. Complex-Valued Functions w(t) First consider derivatives. 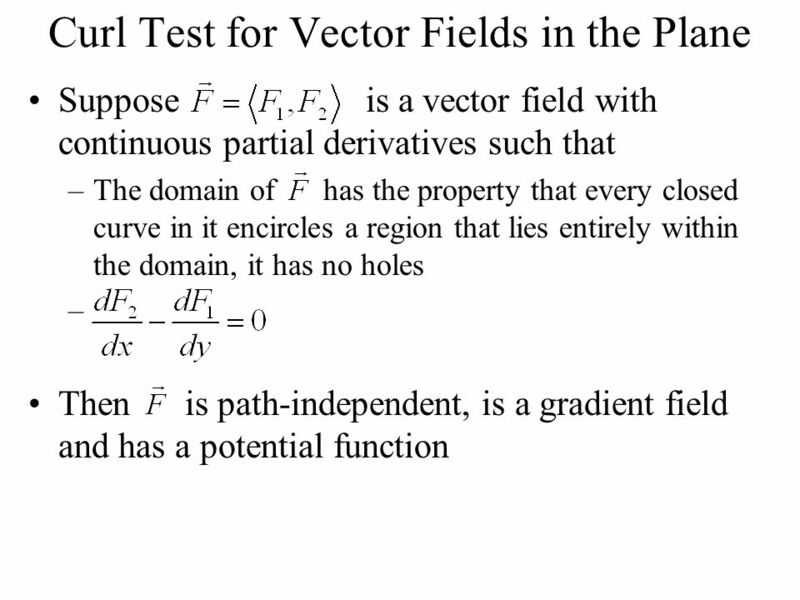 VECTOR CALCULUS Fundamental Theorem for Line Integrals In this section, we will learn about: The Fundamental Theorem for line integrals and. 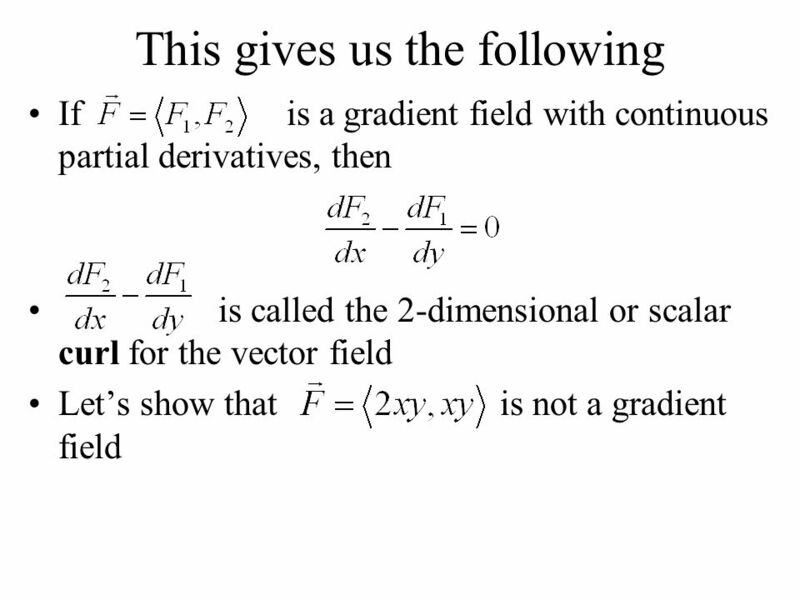 Line integrals (10/22/04) :vector function of position in 3 dimensions. 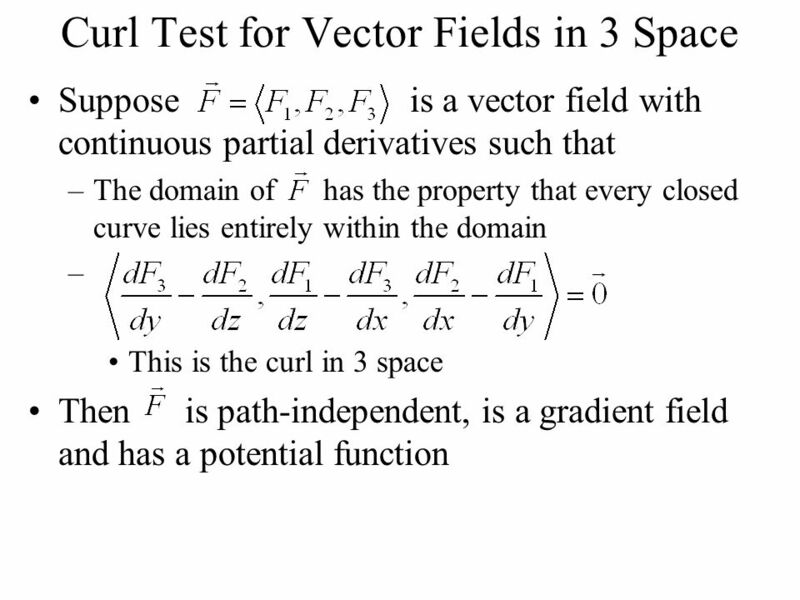 :space curve With each point P is associated a differential distance vector Definition.